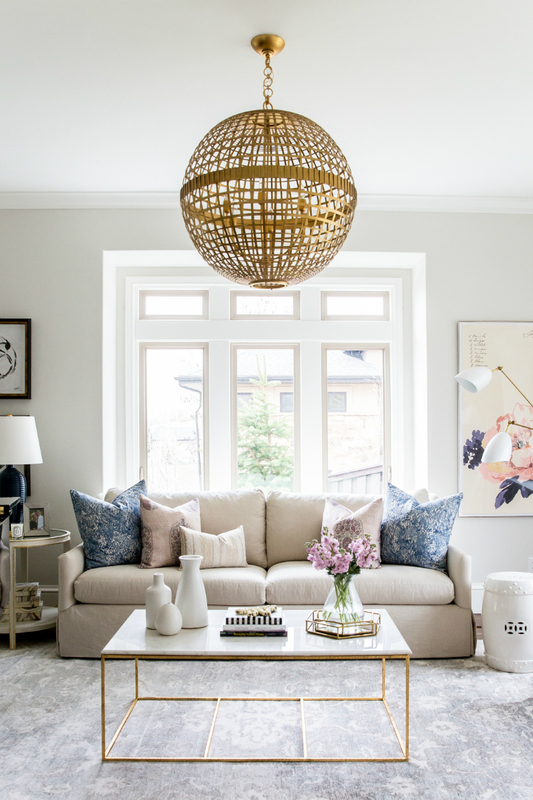 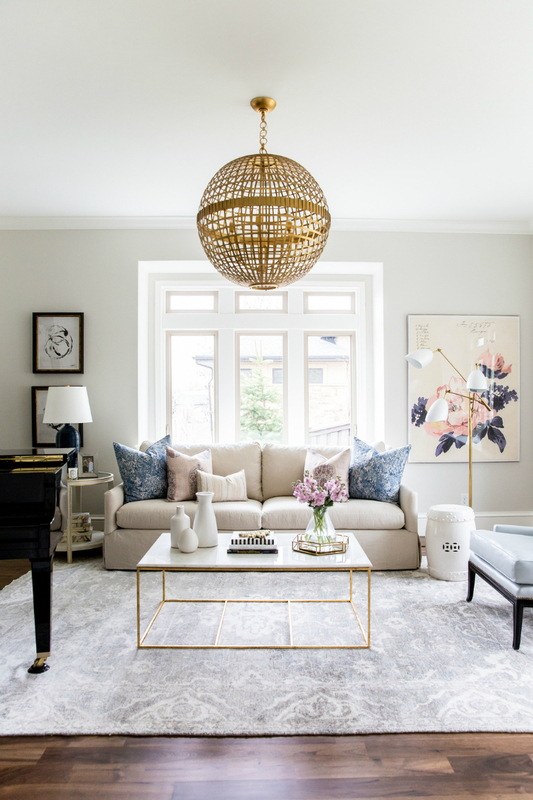 While most remodeling projects normally target old and obsolete designs with the desire to make them stylish and contemporary, some projects only aim at changing the décor, probably with the aim of just shifting taste. 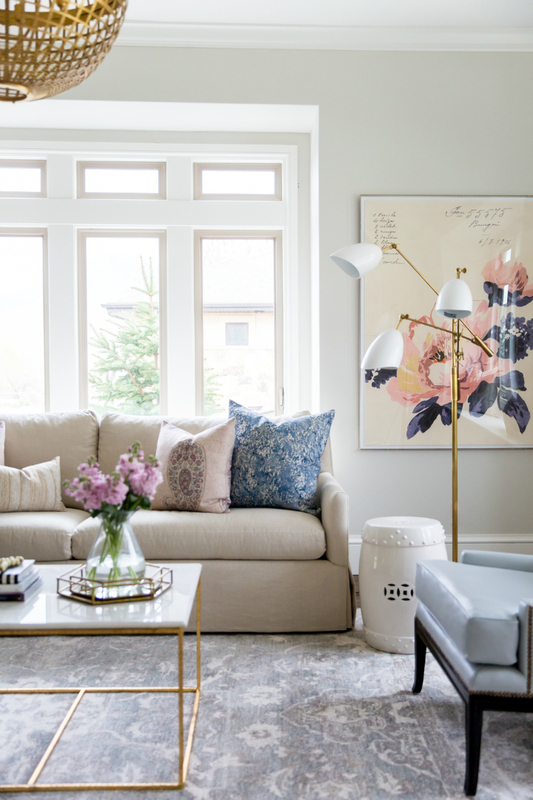 In case of this project by STUDIO MCGEE, a formal rather slightly drab living room received a lift that transformed it to a lively, lighter living area with better use of color and an overall welcoming ambiance. 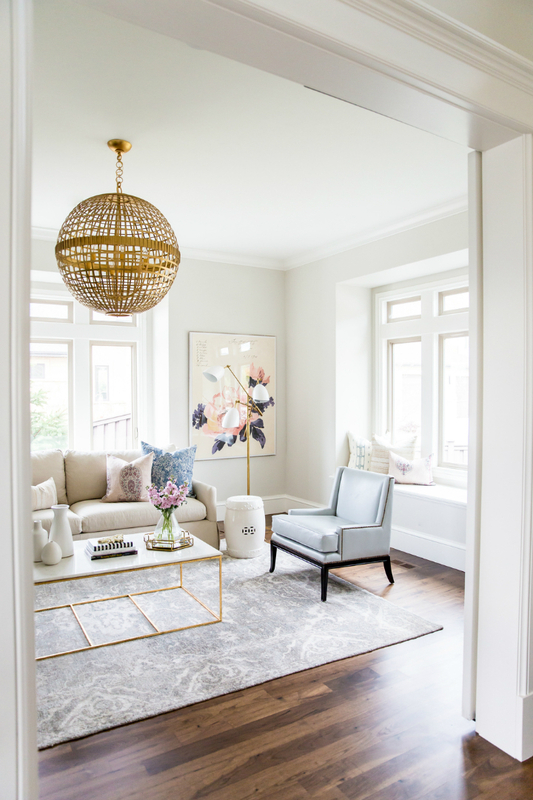 To make it glam, the wooden floor received a facelift that made the parquet shinier. 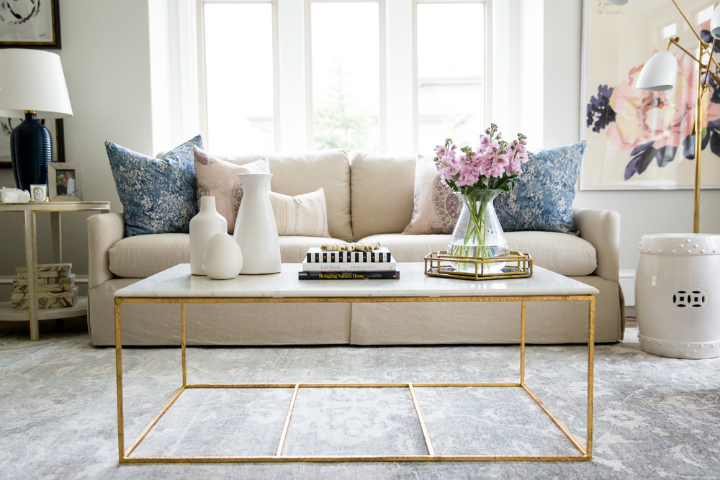 The drab rug, initially covering a section of this floor, also went to give room to a fluffier creamy piece that complements the bright colors of the new sofa. 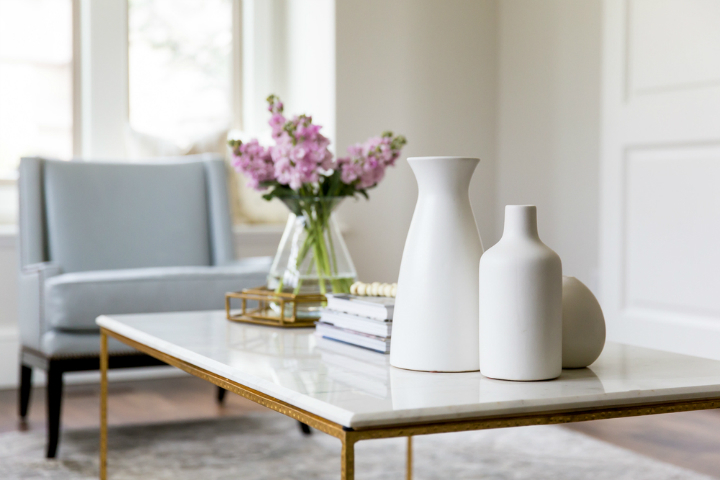 These, coupled with the bright white easy chairs, white table with a minimalist design and the accompanying decorative vases on the table, blend with the bright wall to create a roomier feel. 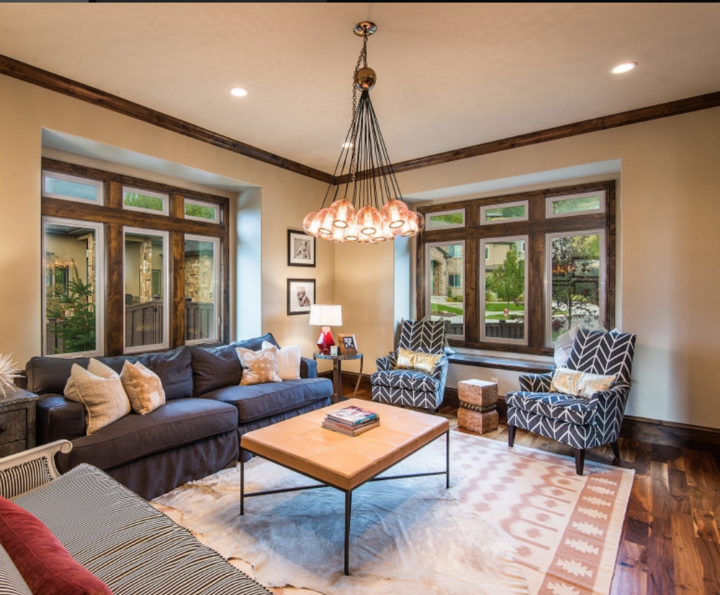 The elaborate windows and comfy lighting complete the elaborate remodeling that gives forth to a comfortable and palatial room. 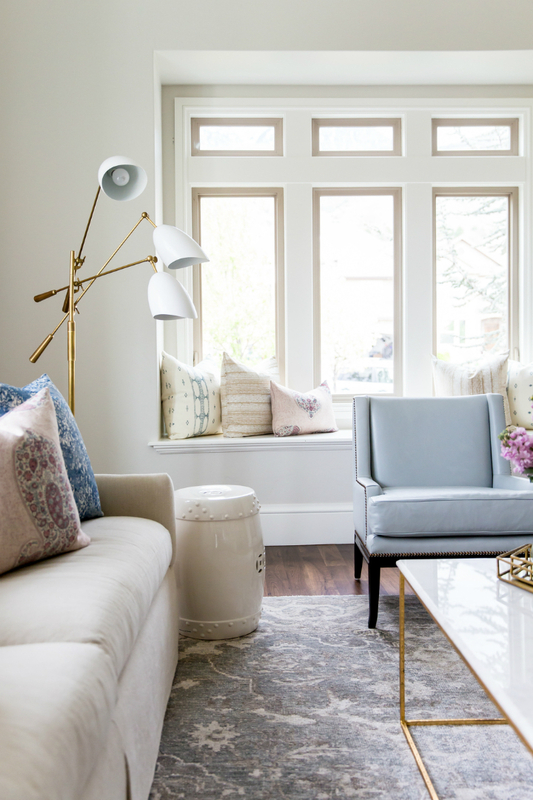 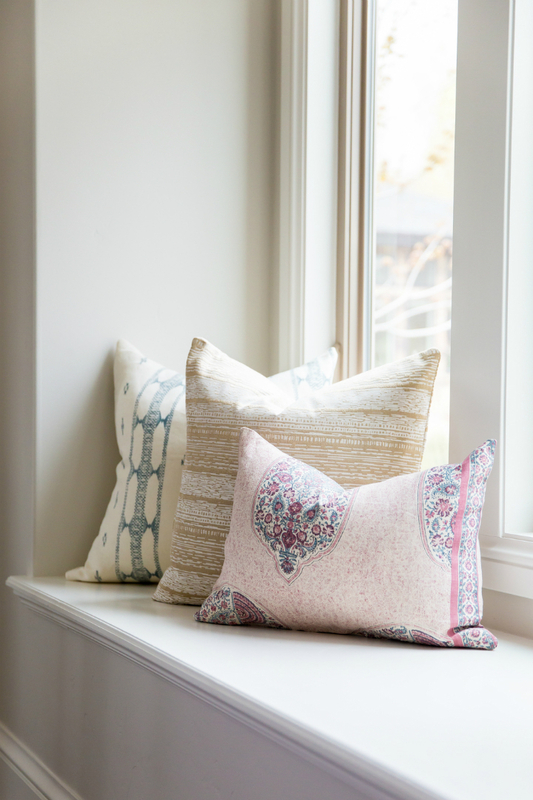 The thought out artwork and cushions by the built-in sitting area on the window, only serve to add an additional layer of charm that only stylists discern.